1 Combine almond milk, lemon juice, mustard in a bowl with a hand mixer for about 30 seconds. 2 While mixing, slowly add in the oil until it emulsified and it thickens up. Add the salt and pepper and mix. 3 Then add the Xanthan powder and mix until it is thick. PS. 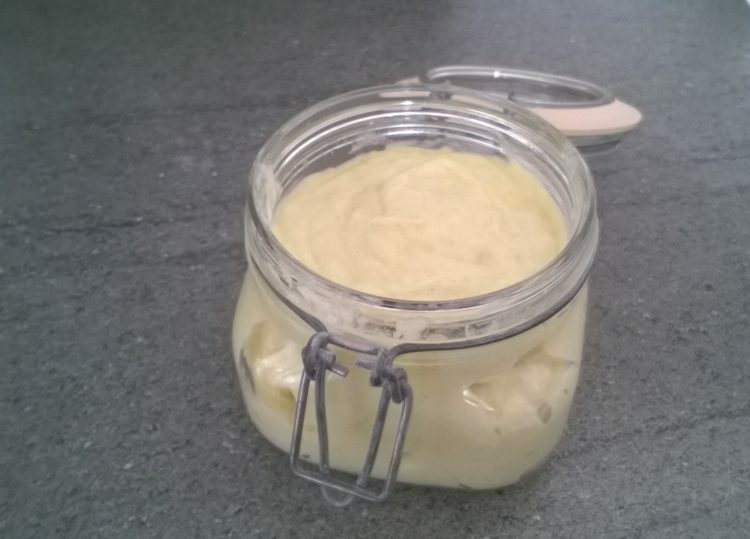 How about using flavoured extra virgin olive to give your mayonnaise a twist, eg you could combine a garlic olive oil and extra virgin olive oil to give it a hint of garlic flavour.